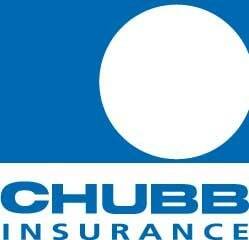 The Chubb Group of Insurance Companies started in 1882 writing insurance for ships and cargo. Today, it is a mammoth insurance company with 10,100 employees spread across multiple subsidiaries, including Great Northern Insurance Company, Federal Insurance Company, Vigilant Insurance Company, Pacific Indemnity Company and Northwestern Pacific Indemnity Company. This insurer provides insurance in 54 countries and employs approximately 31,000 people. Today, 40% of its business is outside the U.S. Like most insurance companies, it is very profitable. Chubb reported net income over $1.3 billion for the second quarter of 2017. Chubb is a small player in car insurance in Maryland, with only 0.15% of the private automobile insurance market share, and only $5,314,571.00 in premiums written that year. In Maryland, our attorneys see Chubb more frequently in commercial car and truck accident cases, and product liability claims. In 2015, Chubb was purchased by ACE, an international commercial insurer that has a presence in 54 countries. Chubb is now the world’s largest publicly traded property and casualty company in the world and has more market share than any other commercial insurer in the country. In dealing with Chubb/Great Northern Insurance Company/ACE, the conventional wisdom is that it is rare to get an acceptable pre-lawsuit settlement offer in automobile cases, and filing a lawsuit does not typically result in significantly better offers. Some lawyers have described Chubb's litigation strategy as "scorched earth," meaning that they will defend claims at all costs with no regard to expense. This means that, where the negligent driver was insured by Chubb, lawyers and plaintiffs can expect to take the case to trial. Often a lawsuit needs to be filed to maximize the value of your claim against a Chubb insured. Many cases with Chubb in Maryland go into suit not necessarily because Chubb is particularly unreasonable but because insurance companies want to take a closer look at the plaintiff - and, sometimes, the plaintiff's lawyers - in a severe injury case. This applies in particular in products liability cases. In these cases, Chubb's personal injury settlement process is the same as many other insurance companies. They are not averse to a settlement, but they want to make sure they fully understand the claim before writing a big check. So, unfortunately, you have to sue Chubb insured to push the ball forward even in cases where settlement is ultimately likely. As lawyers in these cases, it is our job to put on the best case possible to show the real value of the claim to make settlement more palatable for Chubb. Our law firm has fought and won against Chubb Insurance to obtain verdicts and favorable settlements against them. If you've been in an accident with a driver insured by Chubb, contact us at 800-553-8082 or online for a free consultation. How much is your Chubb claim worth?